With global reach and local knowledge, we take pride in delivering services and production facilities to the Life Sciences and Consumer Products industries to clients all over the world. Since the start in 1986 more than 70 production facilities have been delivered worldwide using the Pharmadule modular concept. Every project is unique and at Pharmadule, we're committed to provide your business with that competitive edge. Our extensive skills and experience ensure that each project is a smooth, precise operation, meeting your quality requirements. Our core competence is to design and deliver cost efficient Life Science and Consumer Goods production facilities ranging from concept to handover of the qualified facility. 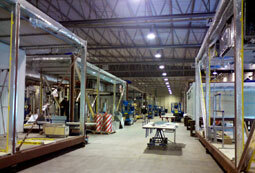 On Time, On Budget in full compliance - The Modular Way! Whether you are planning for a new production facility, upgrade of process equipment or expansion, it all starts with the design. With your process in mind, we guide you through the design & engineering phases to develop an optimized design for your pharmaceutical or biotech facility project. Pharmadule's complete Design-Build-Validate projects with turn-key approach is incorporating the values that have made the Pharmadule concept successful - On Time, On Budget & Short Implementation Time. That's the Power of Certainty! To complete the full scope approach we also offer Front end Design / Pre-Engineering services, Validation services and After Sales Support. Modular fabrication and off-site construction removes the critical parts of the delivery of your project from the conditions on your final site. In the safe and controlled environment of the workshop, the process and utility equipment are integrated into the modular building obtaining a clean and efficient installation. We have the unique experience from having delivered over 60 validated facilities worldwide. We know that validation needs to be planned carefully in the beginning of a project in order to manage the complex process of designing, building and validating a pharmaceutical facility. Because of this we have developed a proven validation management process that will take you from the early design phases to finalized process validation on time and budget. 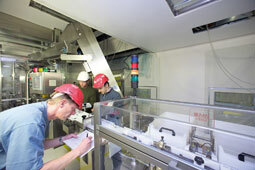 As part of the Morimatsu Industry Group we are in a unique position to offer complete solutions, including process equipment, integrated into our offsite constructed modular facilities or as stand-alone process equipment, skids and modules for the Life Science and Consumer Products industry. 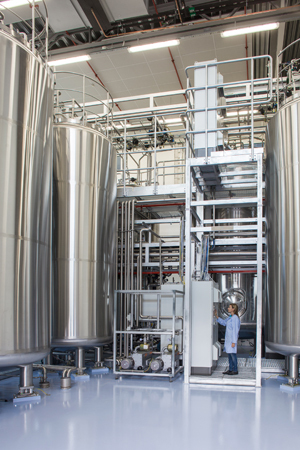 We provide complete process solutions: From bioreactors and fermenters, through media/buffer preparation, harvest and purification, all the way to formulation, bio waste, and CIP systems. Our engineered solutions are designed to minimize product loss and are fully CIP/SIP capable, while being easy to install, operate and maintain. As the end-to-end solution provider from upstream through downstream, we can eliminate interfaces for easy project management and delivery.